I apologize in advance if I did a poor job translating certain part of the Prime Minister's speech. Although Norwegian and English are quite similar in a lot of ways, obviously not all translations can be made perfectly. Thank you. "My Little Country" ("Mitt Lille Land" in Norwegian) is the name of a poem written by Ole Paus in 1994, and it's also the name of a memorial book published in Norway filled with pictures, speeches and quotes commemorating the events of 22. July 2011. I felt it was a good title for this blog, too. Friday 22. 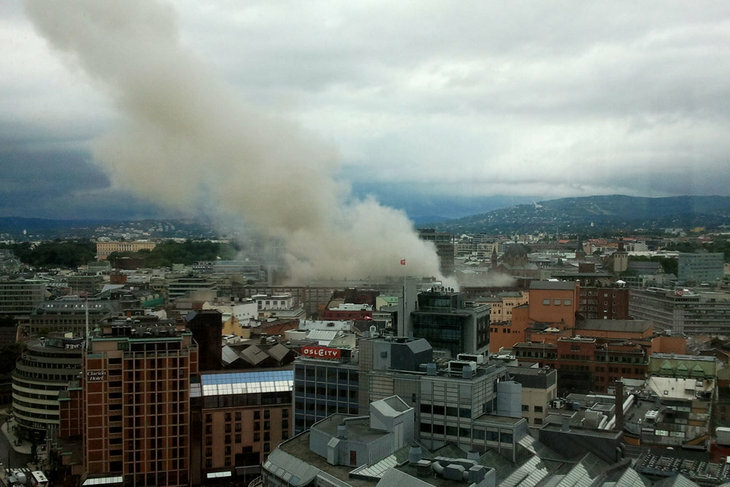 July, 15:26 in the afternoon, a bomb goes off in front of Regjeringskvartalet, Oslo. At the time the bomb went off, I believe I had dozed off on my couch after watching qxc all-kill IM in the GSTL. I can't recall what my reaction was at first, but just the fact that this had happened at all (and so close to me, I live about 40 minutes by train away from Oslo, and I've been to the location of the bombing several times in the past) was very surreal. 17:27, the same day, police are informed of a shooting at Utøya. One hour later, the man behind it is apprehended. It turns out that a large amount of people have been shot and killed, in addition to many being injured severely. I turned on the TV to follow what was happening, and as the day went on the alleged death figures were fluctuating rapidly, from thirty to fifty five to as much as one hundred. And the massacre of Utøya killed sixty-eight people and injured sixty. I wasn't sure exactly what to feel, but it was mostly shock. The following days were like an odd, surreal nightmare. I think surreal is the best word to describe it, because the conditions just seemed so bizarre; why would this happen in Oslo of all places? 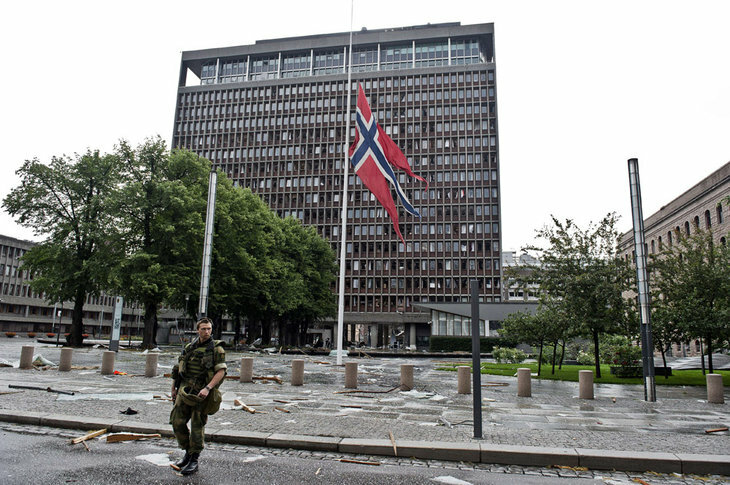 It has soon been two days since Norway was struck by the greatest deed of evil since World War 2. It has been hours, days and nights filled with shock, despair, anger and tears. Today is a day of sorrow. Today we will allow ourselves to put a full stop to our daily lives for a moment and commemorate the dead. Mourn those who are no more. 77 human lives have been lost. More are still missing. Every single life lost is a tragedy. Together, the loss of life constitutes a national tragedy. Still we struggle to comprehend the scope of what has happened. Many of us knew people who have passed away. One of them was Monica. For 20 years she worked at Utøya. For many of us, she was Utøya. Now she's dead. Shot and killed while creating care and safety for youth all over the country. Her husband John and her daughters Victoria and Helene are in the church in Drammen today. It's not fair. I want you to know that we cry with you. Another who has passed away is Tore Eikeland. Leader of the Labour Party youth group in Hordaland, and one of our most talented young politicians. Now he is dead. Gone forever. It's hard to comprehend. These are only two that we have lost. We have lost many others, on Utøya and where the bomb went off. Soon we will know the names and have the pictures of everyone. Then the true scope of the evil will step forward in all its horror. It will be a new trial. But we're going to manage that, too. In the middle of all this tragedy, I am proud to live in a country that has stood standing in a critical time. I am impressed by how much dignity, empathy and strength I have seen. We are a small country, but a great people. We are still shocked by what hit us, but we will never surrender our values. Let me speak to all families across the country that have lost one of their loved ones. You have mine, and all of Norway's deepest sympathy in your sorrow. Not just that. The whole world feels for you. I have been asked to deliver condolences to you from Barack Obama, Vladimir Putin, Fredrik Reinfeldt, Angela Merkel, David Cameron, Dmitry Medvedev and several other heads of state. This can never replace the loss you have suffered. Nothing can bring your loved ones back. But we need support and comfort when our lives are at their darkest. Now that your lives are at their darkest. We want you to know that we are here for you"
Such a sad moment in history. My condolences go out to all the families still suffering 1 year later. I hope everyone can still remain strong, and continue to move past such a horrible moment in their lives. That was one of the most touching speeches in recent history. I hope that the families effected by this have found what ever peace they can, and may the dead rest in peace. I like what he said, not reacting with hate, but bringing about more of what is great about your country. this was honestly one of the most horrific things i've ever heard of or seen. i remember watching the news and i wanted to punch something because of how terrible it was. i can't even imagine what it must have been like to be a family member and know that your kid is at that camp. and that was a really good speech. i think it hit on all the most important points that could have been made. This is maybe the only speech that has brought tears to my eyes. This part is beautiful : "If one man can show so much hatred, imagine how much love we can all show together". The only way to fight hatred is through love, not through more hatred. I really hope to the people affected by the shooting in Aurora the same attitude, even if I guess how hard it must be to find love in oneself after such gratuitous display of violence. Man, that was such a crazy day. At first I thought it was a joke or something but then the reality sunk in that a madman had killed over 70 people. What the hell is wrong with us, seriously. Good blog. I was at vactation in Haugesund when this happened, just happened to hear something about a bomb on the news right after I was done eating, thought to myself "Osama is going at it again I suppose". Then I saw that it was from Oslo, and the rest of that day I was stuck with the news.